….made from artisan-cured Ribbon-Cut Zucchini! 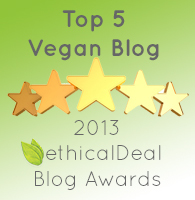 The holidays are just around the corner, and Vegan American Princess continues to search for fabulous and unique gift recommendations which align with our values. Handcrafted gifts created in harmony with the environment and without harm to animals speak to us, especially when they are gorgeous and exquisite. If we can unequivocally state that we would be thrilled to receive such gifts ourselves, then we know we’ve found some winners! 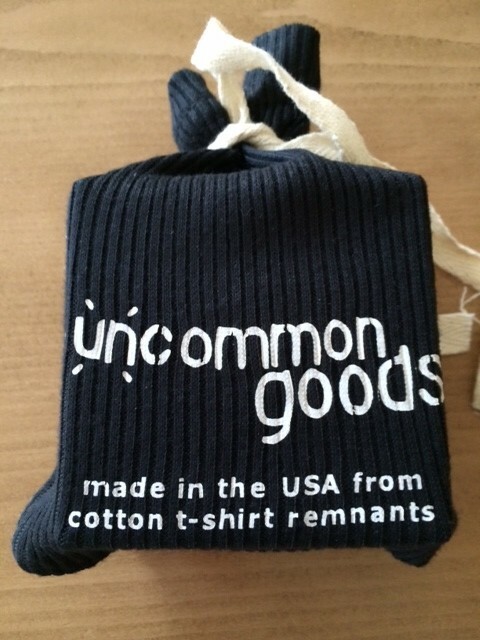 Uncommon Goods is the perfect place to find such unique designs and handcrafted gifts. In keeping with our own ethical philosophies, Uncommon Goods makes it their mission to use their business to impact the world in a positive way. They set a rigorous standard on a wide range of issues, including wage levels, environmental impact, and giving back to their community. Most of the fabulous products they sell are made by hand in the USA, and about one-third of their entire collection incorporates recycled and/or upcycled materials. In our search for that “winning” holiday gift, Vegan American Princess was lucky enough to spot this stunning Ribbon-Cut Zucchini Cuff with a classic Harlequin Pattern on the website of Uncommon Goods. We were quite thrilled to notice that it sells for under $50 too. Click here for more fantastic gift ideas for under $50. 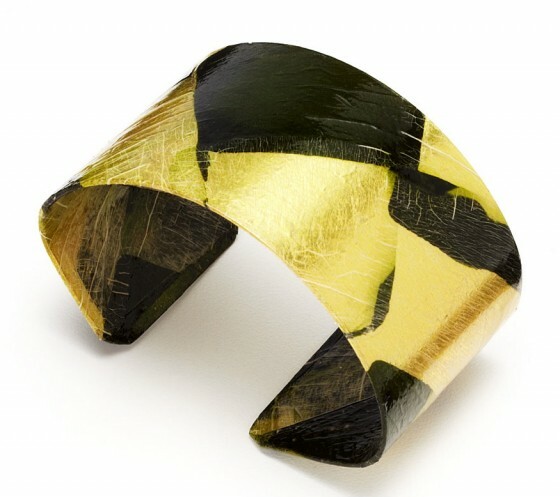 This unique black and gold cuff screams “elegant and sophisticated,“ and was made by the one and only Margaret Dorfman. 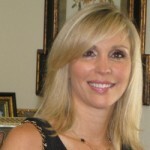 Using over 40 different varieties of fruits and vegetables, Ms. Dorfman creates unique bowls and jewelry to be admired or worn as objects of beauty. This particular Ribbon Cut Zucchini Cuff was made by Ms. Dorfman by hand from fresh locally-sourced zucchini that was cured, pressed, aged, and dried into a translucent, parchment-like sheet. The sheet was then fused into a hand-shaped copper cuff. Variations in color and texture and the presence of fine lines and striations are a natural feature of the zucchini from which the cuff is made. 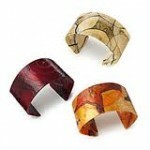 Therefore, each cuff is slightly different from the others and carries its own distinct beauty. Could you believe that these vegetable cuffs are water resistant too? We believe that such a beautiful piece of jewelry would make the perfect holiday gift for any special woman in your life, especially if she prefers to be ethical and eco-friendly while simultaneously showing off her excellent taste. If this particular gift choice doesn’t float your boat, you can click here to check out other options for cool holiday gifts for the women in your life. 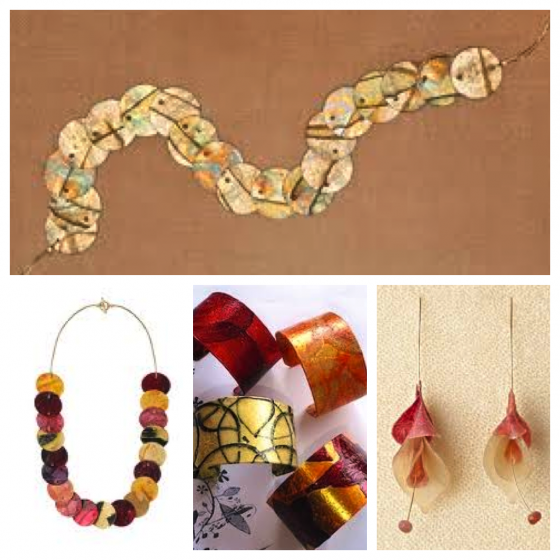 In addition to the Ribbon Cut Zucchini Cuff, there are other vegetable cuffs and beautiful jewelry by Margaret Dorfman to choose from on Uncommon Goods which come in a wide variety of patterns and colors. Vegan American Princess loves them all, and we think any piece would make a fabulous holiday stocking stuffer. Click here for other great ideas for holiday stocking stuffers. If you recall, Ellen previously blogged about Margaret Dorfman and the beautiful pieces she creates with fruits and vegetables. 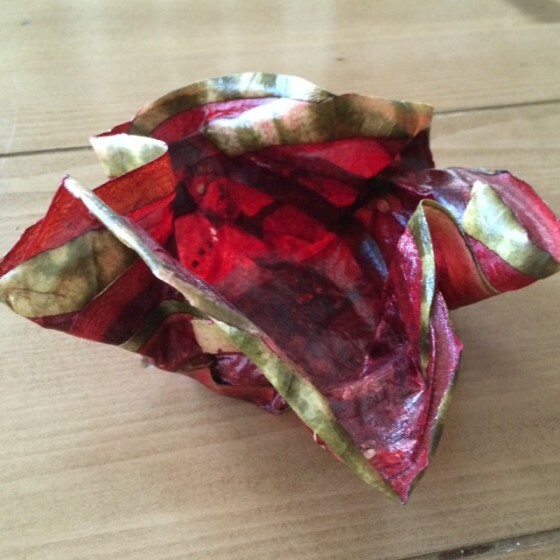 You can click here to read Ellen’s post where she discusses exactly how Ms. Dorfman uses fruits and vegetables to create unique and gorgeous art. 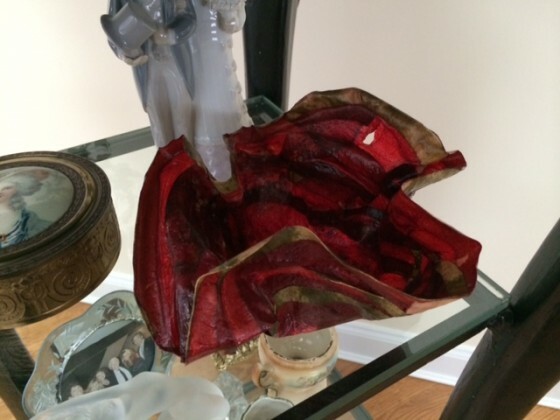 I was so impressed with Ms. Dorfman’s beautiful creations, Ellen sent me this bowl made from beets for my birthday last year. I love it! Although we all see fruits and vegetables as healthy foods we eat to nourish our bodies, Margaret Dorfman apparently sees much more than we do when she looks at these beautiful gems of nature. She visualizes how their vibrant colors and patterns can be used to create unusually beautiful things in the form of bowls and jewelry. Since the holiday season is here, we highly recommend that you get a headstart on your holiday shopping by clicking here to check out some other fabulous gift options. By clicking here, you will also be able to find some amazing choices for holiday gifts for men. After seeing how beautifully Ms. Dorfman creates gorgeous things using fruits and vegetables, your holiday shopping will never be the same!